Unbelievably, it’s already the last day of 2018…and what a fantastic year it has been! Here at Franklin Scholars, we took our programme to new heights, laying the groundwork needed for a big 2019. Not only did we reach a range of new schools, but we expanded our academic programme to include a numeracy curriculum, and we began the transition to new leadership and new partners. Curious about what we were able to achieve? Check out our top five achievements, below! 1. Working with over 30 schools in six regions of England! The 2018 calendar year really saw us increase our reach, as we worked with almost 1,500 students in 31 schools delivering our signature, year-long peer mentoring programmes! Want to know what schools we work with? Check out our partnerships page! 2. Developing our numeracy programme with Nesta support! Throughout 2017 and 2018, and thanks to support from Nesta’s Maths Mission team, Tata Group and Tata Limited, we developed a brand new numeracy curriculum for our year-long peer mentoring programme. With success in piloting the programme across three schools (preliminary impact results are quite promising…see p. 19 of this report! ), we are gearing up to roll this out to more schools in 2019. Interested in learning more? Contact us! 3. Two successful Festival of Ideas! Some of our favourite events of the year are our Festivals of Ideas! These events bring together schools for one-day workshops on collaboration and problem-solving. This year’s two festivals (at St Clement Danes School in Hertfordshire and Chellaston Academy in Derby) were attended by students from 13 schools! These one-day workshops are a fantastic way for students to boost and practice important skills; 76% of students left our events feeling more confident talking to new people! 4. Improving our impact assessments through our Teach First Innovation Partnership! 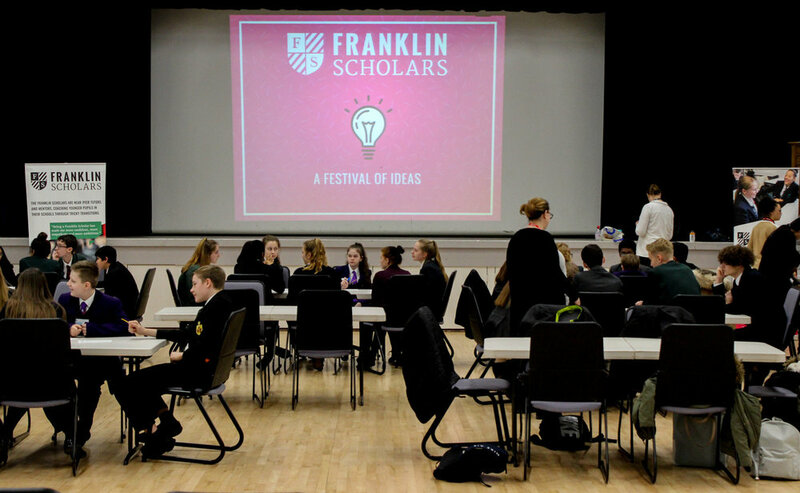 Here at Franklin Scholars, we are always doing our best to monitor and evaluate our programmes at the school level, and to assess the impact of our interventions. Over our five-year history, we have worked to improve our impact assessments to become more and more robust (want to read past impact reports? Click here!). As a small organisation, though, we are always looking to improve how we measure our impact while keeping efficiency and resource-limitations in mind. Lucky for us, as one of only eleven Teach First Innovation Partners, we have been given the opportunity to improve our M&E systems as well as how we visualise our data. This will help us improve internal decision-making, quickly spot which school programmes need more assistance, and better forecast our resource needs. Amazing! 5. Hitting our five-year anniversary and looking forward! It’s almost impossible to believe that Franklin Scholars has hit our five-year mark! Looking back, it’s great to see how much the organisation has grown…not just in the number of people we reach, but also in the types of programming we deliver. Looking forward, 2019 is set to be an exciting year for us. With a new CEO and renewed focus on scaling-up, we anticipate a year of expanded school services and diversifying our partnerships as well. Interested in working with us? Contact us!